Building upon years of first-hand experience in political campaigns, Republican organizations and the Reagan White House, Carlyle Gregory established The Carlyle Gregory Company, a Northern Virginia based public relations and political consulting firm, in 1989. 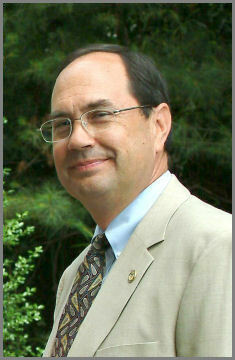 A lifetime Republican, Gregory began his political career in 1972 as Chairman of the Virginia College Republicans. He coordinated Congressman Caldwell Butler’s winning reelection campaign in 1974 and organized Virginia Congressman Paul Trible’s campaign in 1976. In 1978 he managed Newt Gingrich’s first successful bid for Congress, and served as a Field Director for the National Republican Congressional Committee from 1981-1985. 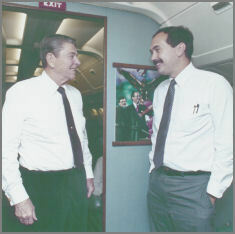 His extensive political experience and dedication to the Republican Party earned him a position in the White House, where he served as a Special Assistant for Political Affairs under President Reagan. As President of the Carlyle Gregory Company, he has worked with dozens of successful campaigns and referendums. Recent clients include, U.S. Rep. Clay Shaw, U.S. Rep. Dan Miller, U.S. Rep. Roger Wicker, the New Majority Fund and Virginia Delegates Preston Bryant, Terrie Suit, Rob Bell, Dave Nutter and Beverly Sherwood. Gregory was the first Presidentof the American Campaign Academy (1985-86), served as a consultant to the RNC’s Campaign Management Colleges (1988-92), lectured extensively at the National Federation of Republican Women Campaign Management Seminars (1988-94), taught classes for GOPAC (1992-1996) and the Leadership Institute(1997-2007). He has also lectured at the Susan B. Anthony List, American University, George Washington University, Harvard University and Georgetown University, and has participated in AMPAC training programs for the last thirteen years. Gregory’s experience extends outside the Washington Beltway and beyond the boundaries of the United States. In 1990, Gregory served on a team of consultants sent to Romania by the International Republican Institute to assist the pro-democracy forces in that country. He visited Bulgaria in 1994 and traveled twice to Russia in 1995 on similar missions. A graduate of Blacksburg High School and Washington and Lee University, Gregory is a native Virginian. Married for 18 years, he is the proud father of two children and an Elder in the Presbyterian Church.